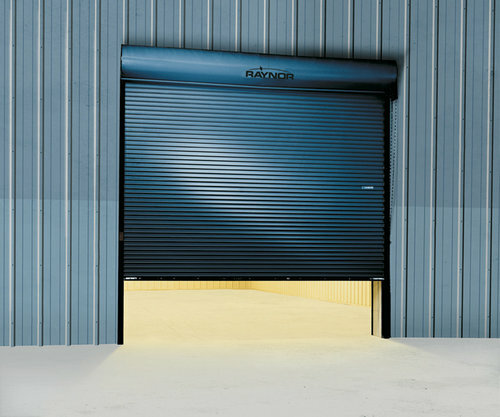 When your business or project demands a rock solid and attractive commercial rolling steel door which is cost effective and friendly to the bottom line, On Track Garage Door can help you find an excellent solution that addresses both your needs and your business’s budget when selecting a rolling steel door. Efficiency is everyone’s business, with that in mind these doors have been constructed using the most advanced designs and innovative elements which means their installation is quick and they deliver consistently smooth operation that’s worry free and provides extended durability. Available in a variety of slat types and materials, our complete line of rolling doors and counter shutters perform in the most demanding industrial environments. Rugged DuraCoil rolling service doors - with aluminum, steel or stainless steel slats - are made to last. When you want the best, specify DuraCoil. Raynor also offers a full line of sectional, rolling, fire, high performance and traffic doors, as well as, security grilles. Contact us today for additional options and upgrade for your commerical rolling steel garage door and operator. Serving the industry with an array of curtain materials (prefinished galvanized steel in gauges from 24 to 18, stainless, or aluminum), slat profiles, and colors, Raynor's service doors can accommodate most openings and building requirements.